Enjoy watching the sunset next to a glowing bonfire? You can do this Monday to Thursday*. 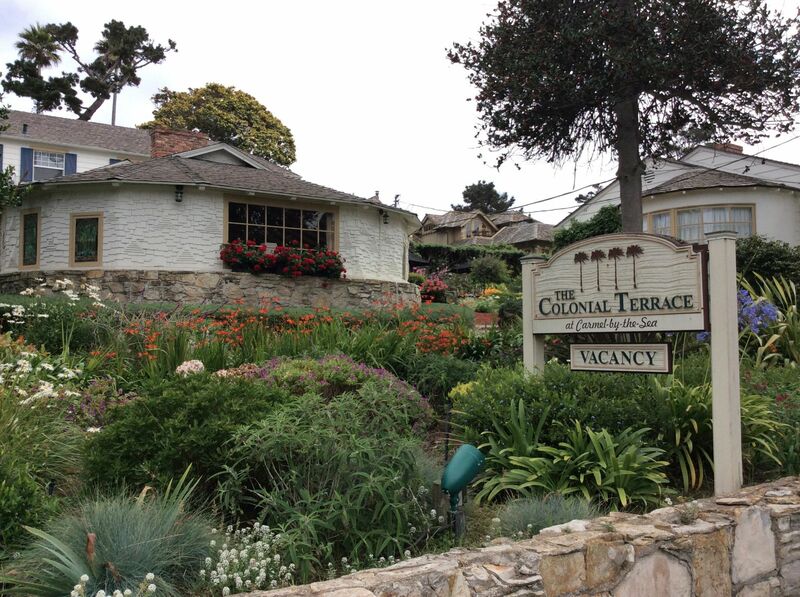 And the beach is easily accessible from The Colonial Terrace Inn! *Please check local city ordinances for changes to bonfire policy. Historic inn with unique and quirky accommodations right by Carmel Beach, The Colonial Terrace Inn provides personal service that makes a memorable and positive experience of hospitality to be savored and recalled for years to come. The inn has southern charm and gardens, where you can hear waves crashing from short distance to the shore. This small secluded hotel is situated in a residential neighborhood and just a few short blocks to Carmel village shops and restaurants. Guestrooms are in small buildings which are scattered around beautifully maintained flowering gardens. A variety of guestrooms have ocean views, fireplaces, private balconies, full baths and garden patio rooms. This is the perfect inn for a romantic getaway, during a honeymoon and for celebrating and anniversary and during other special occasions. Some rooms have two beds or are suite which are great for families and during girls getaways too! Call 831-372-5000 for free local Carmel Area Reservation Service to find the best available rooms and to make the perfect booking with ease and confidence of having a wonderful room. Free event planning and concierge are offered as well to assist in planning that most special occasion!